Before the exhibition opens, gain an up close and technical behind-the-scenes look at The Chace tapestry woven by Dovecot’s founding master weavers Glassbrook and Berry. 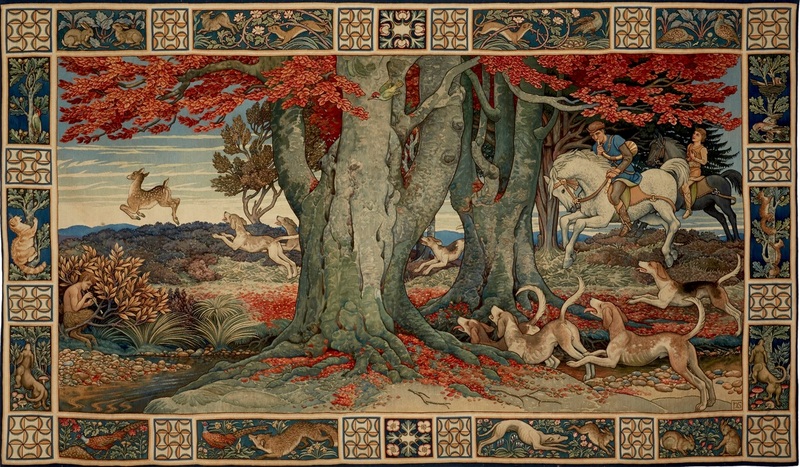 Led by tapestry conservator Alison Docherty, this session will appeal to textile historians, conservators, tapestry weavers and anyone interested in how historic tapestries are analysed and conserved. Hearing loop amplifier kits can be used with T loop option if required. General: £6 I Concession: £3 I Please arrive 10 minutes before start time.